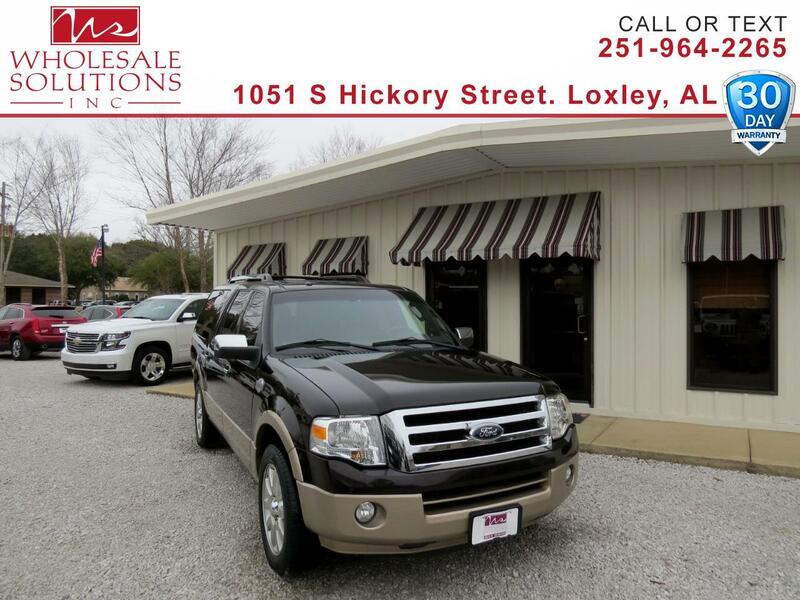 Used 2014 Ford Expedition EL 2WD 4dr King Ranch for Sale in Loxley AL 36551 Wholesale Solutions Inc.
3rd Row Seats, *** DEALER WARRANTY ***, ***Financing Available***, ** Low Miles **, *** Low Payments ***, Navigation, *** Nice Truck ***, Sunroof, Backup Camera, Bluetooth, Climate Package, Moonroof, Navigation System, Sunroof/Moonroof, Tow Package, ABS brakes, Compass, Electronic Stability Control, Front dual zone A/C, Heated & Cooled Perforated Leather Fr Bucket Seats, Heated door mirrors, Heated front seats, Heated rear seats, Illuminated entry, Low tire pressure warning, Navigation System, Remote keyless entry, Traction control. Priced below KBB Fair Purchase Price! Clean CARFAX.